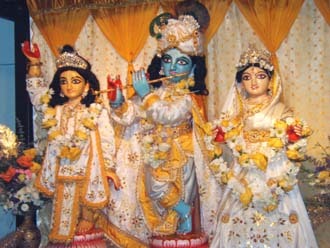 Their Lordships Sri Sri Guru Gauranga Gandharvika Giridhari in new outfits sewed by Swarnangii Didi and her team. 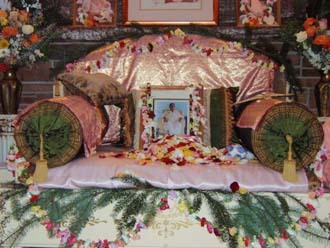 The vyasasan decorated very nicely with flowers. 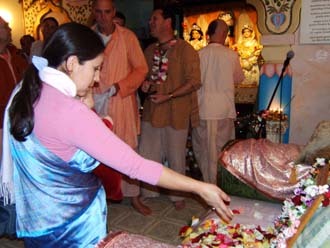 Many devotees spoke about Srila Gurudev today, including Bimala Didi. 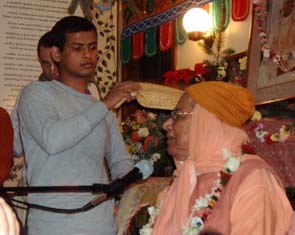 Dharubrahma Didi urged us to take this opportunity to dedicate ourselves to Srila Gurudev. 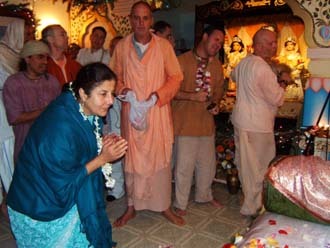 Krsna Prema Prabhu, Gaurangi Didi, Nimai Das and Nitai Das from Washington. 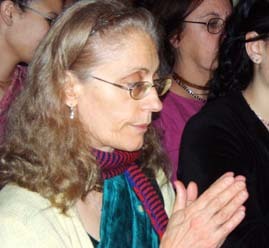 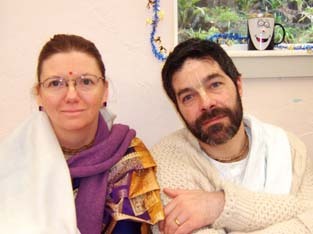 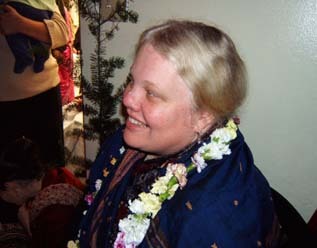 Lila Shakti Didi and Ananta Rupa Prabhu. 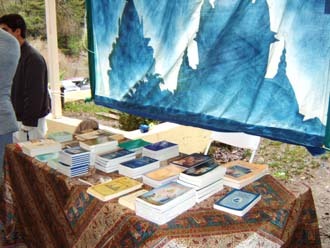 Outside of the prasadam hall Diksavati Didi has set up a book table. 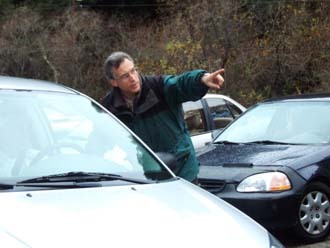 Hasyapriya Prabhu directs the parking all morning, despite the rain. 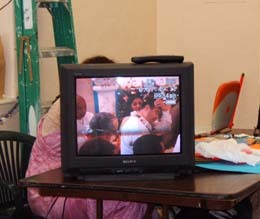 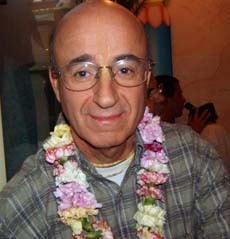 Murali Mohan Prabhu set up a remote TV so devotees could watch the program from the prasadam hall. 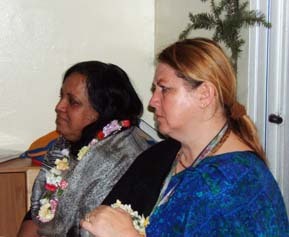 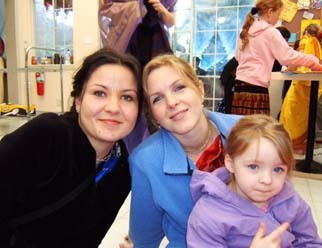 Rai Kishori Didi and Narayani Didi. 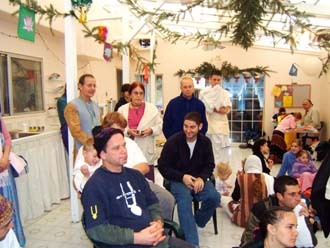 Devotees watching the program on the TV screen. 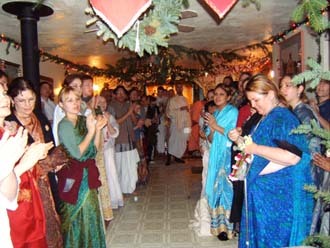 Word spread that Srila Gurudev was coming down, and everyone gathered to greet Him. 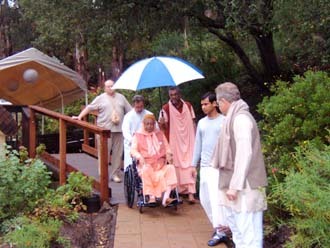 Despite showing ill health today, His Divine Grace makes his way to the temple. 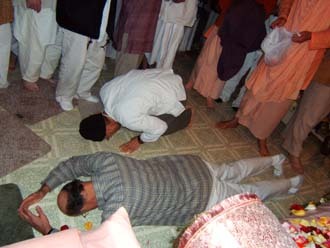 Everyone drops to offer their dandavat pranams. 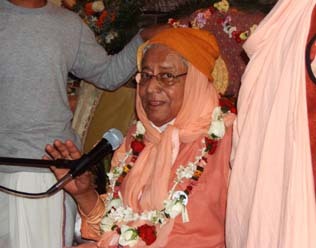 Excitedly awaiting our dear Srila Gurudev on His birthday. 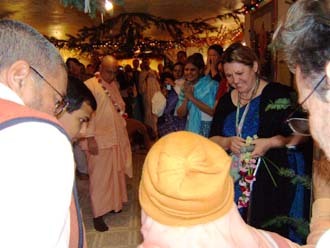 Srila Gurudev spoke briefly about the glories of the Sri Chaitanya Saraswat Math. 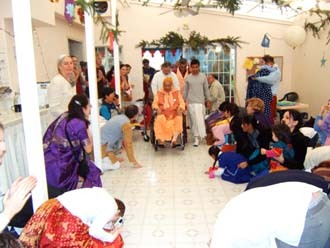 Despite His health condition, He looked beautiful! 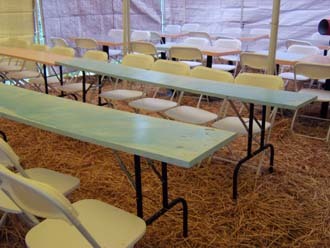 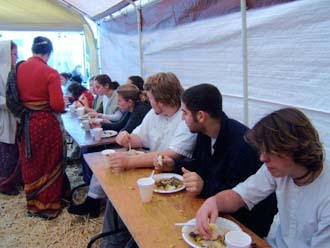 A temporary prasadam tent to accommodate all the devotees. 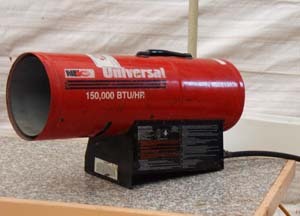 A powerful heater warmed the outside tent. 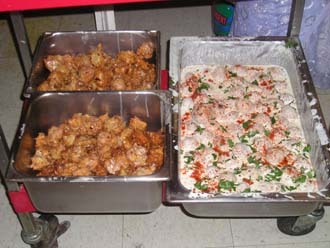 Mahaprasad ki jaya! 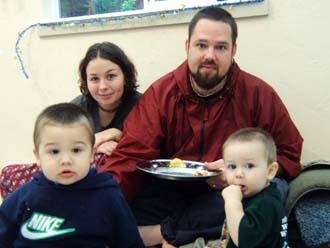 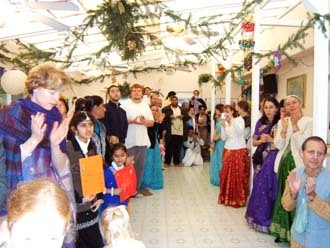 Devotees enjoy the feast.